Fire safety experts removing building and design limitations through engineered solutions. Industry leaders in fire curtains, fire rated glass and fire shutters across Australia and New Zealand. Remseal Pty Ltd is a Sydney based company specialising in all waterproofing & leak prevention services. We specialise in all areas of waterproofing, remedial services, concrete repairs, protective coating, grouting and flooring systems. We have solutions for a variety of water penetration problems, and it comes hand in hand with over 37 years of quality experience. As one of the industry leaders within New South Wales, our guarantee of the quality workmanship cannot be matched. We are professional renovation builders who provide high quality home and commercial renovations, from concept to completion - on time and to budget. We help clients improve their home to suit their lifestyle and future requirements, increase the value of their home, and feel safe and relaxed throughout the entire process. For you - that means renovating will be an enjoyable experience, you will get a great value renovation, and you will be proud of the finished project! Smith and Sons Wollongong has carried out renovations and building work all across Wollongong and across the Illawarra - so you can be sure you are dealing with a local builder who knows local area & conditions. For nearly 30 years, A’besco has offered its customers throughout the Sutherland Shire and greater Sydney area a superb range of quality window furnishings. A family run, award winning business, A’besco has catered to an entire generation of home owners and commercial clients. 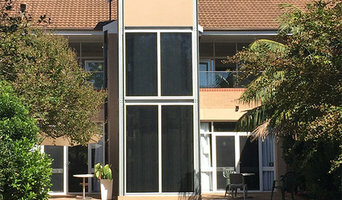 Our product range includes Blinds, Awnings, Curtains, Plantation Shutters and EcoSmart™ Fire. A’besco has recently gone through some changes with a new generation of the A’besco family taking the wheel. Our modern showroom at Caringbah displays a huge range of products from companies such as Luxaflex®, Silent Gliss, Verosol, Helioscreen, Ecosmart™ Fire, Somfy, Open Shutters and Leiner. 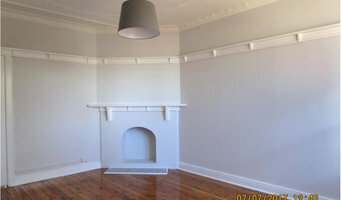 We also supply curtains and the Australian designed and manufactured EcoSmart™ fire place system. With a strong desire to position A’besco at the top of the industry, we are always striving to establish strong customer relationships and are constantly expanding with new products. We are the first company in Australia to offer the Leiner Sunrain™ folding arm awning system from Germany. At A’besco we focus on providing the best advice on quality products to find a design solution for your home or business that’s right for you. All of our products are of the highest quality and reputation whilst maintaining excellent value for money. Afterall, window furnishings are like the eyes of your property – they frame, capture and define your style and can make just as dramatic a difference as new floor coverings or furniture. Our fully trained expert staff are on-call to provide you with a detailed quotation to suit your personal requirements. 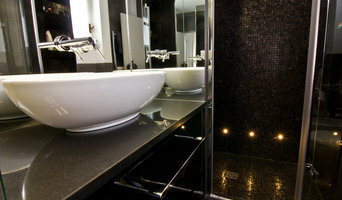 You can visit our showroom or we offer you a free measure and quote at your home or business. Our staff attend national and international trade shows to keep up with the latest in window treatments and external sun protection and also attend regular manufacturer training courses, so you can be assured you’ll get the best advice. So come in and meet the A’besco family! Solid and secure self storage units ranging from locker sizes to large garages. Discounts for advance payments of 3 months or more. Discounts for purchases of 10 or more boxes. Contract finisher and painter of all types of building materials. I’m Pam, an experienced yoga and stress management teacher based in Cronulla, within the Sutherland Shire of Sydney. I specialise in personal tuition for individuals or corporate groups with the assurance of private confidentiality. Some of my valued students include the Rabbitohs and Cronulla Sharks first grade NRL teams; St George Bank corporate sector; Engadine, Woolooware & OLMC colleges as well as many fitness first members. The venue can be of your choosing: my private studio, or I can come to you! I also conduct weekly yoga classes which have a major emphasis on Pranayama — a distinguishing feature of my teaching style. Please contact me if you would like to discuss an individually tailored program to suit your needs! Abundant Hot Water has been servicing southern Sydney for over 25 years. We provide new installations or servicing and repairs. We work with all the brands of hot water units and models. We recommend the right fitting hot water unit for each location. Our service includes all hot water utility types for electric, solar, gas hot water. Our service comes guaranteed to be a better replacement or alternative and we have discount prices on some of the most common hot water units available. When it comes to repairing a hot water system first we pride you with an expert diagnosis of your hot water units problems. We guarantee to repair where necessary or recommend a better fitting replacement with warranty. Our Team has the latest knowledge on Electric, Solar & Gas hot water units so we can provide your home, apartment or office location with reliable hot water units Ask about our go green recommendations for a more economical system. We sell direct to the public or supply and install only the highest quality synthetic grass on the market. We excel at projects on all scales with over 22 years of experience installing synthetic grass and construction. We service Australia wide with service being the key factor, with no project being too big or small including cricket pitches, school playgrounds and tennis court construction for private homes and clubs. We listen to our clients’ needs and work with you to design recreational and sports areas that are guaranteed to serve families, schools, clubs and communities for many years. Our track record speaks for us, click here to read what our customers say about us, or contact us. Grayson Bourne Building Services is a Sydney based building company, specialising in New Homes, Renovations, Detailed Carpentry & Project Management. Wether it’s a new home, a renovation or project managment in Sydneys Eastern Suburbs or Sutherland Shire, we have the experience to bring your dream project to life. As they juggle your demands and the work of home builders, the Wollongong, New South Wales building project manager often benefits from a construction industry background. This may also assist you when you need to hire additional contractors. 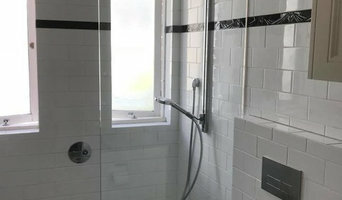 Look in the Professionals section of our website under Wollongong, New South Wales specialty contractors, then select the nearest metro area for a contractor. 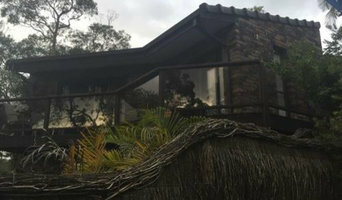 You can also look through New South Wales photos of completed projects to see how a contractor might approach design challenges.